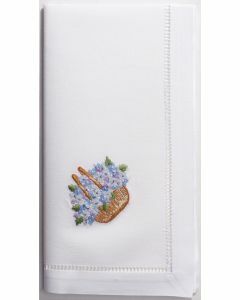 Celebrate red, white, and blue with these patriotic July 4th dinner napkins! Please note this item is sold as a set of four. 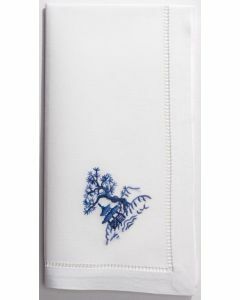 Each napkins measures 20 x 20 inches. 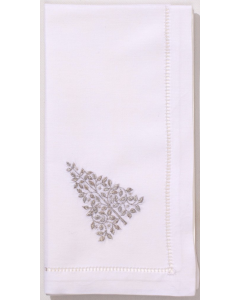 Hand embroidered dinner napkin on 100% cotton, finished by hand with a classic hemstitch. Hand wash or machine wash on gentle cycle, tumble dry on low heat until damp, line dry, iron on reverse for traditional finish. Click on image for greater detail.